A joyous puppy with a very twitchy tail is looking for the perfect holiday present in this rebarkable Christmas novelty book from award-winning creator Salina Yoon. Christmas Puppy has a Christmas present under the tree...but which one is it? Help Puppy wag his tail whenever he helps open a new present! 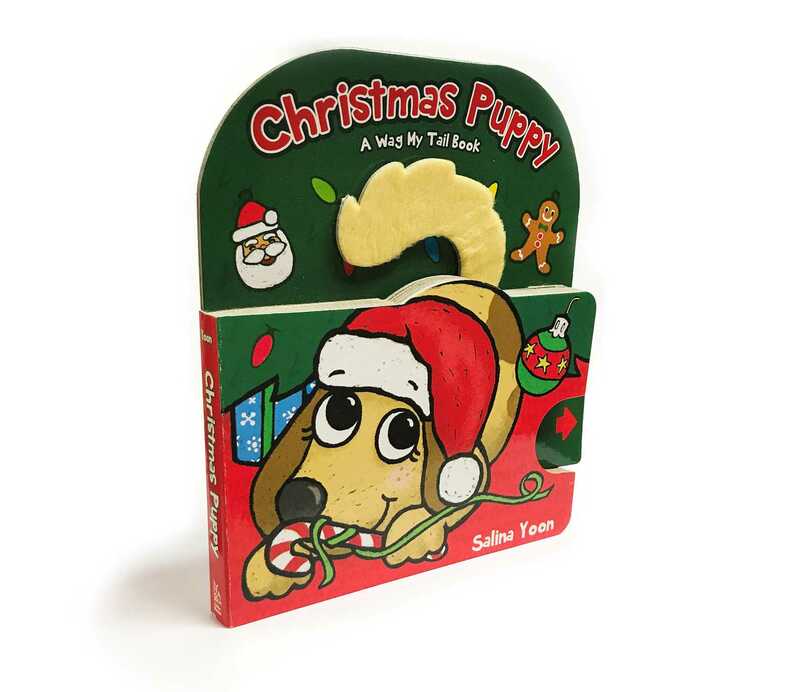 With a sturdy pull-tab that wags Puppy’s plush tail, this interactive novelty book is perfect for Christmas stockings.